Countering alcohol-fuelled violence is a major public policy challenge in Australia, especially in the tropical north. In 1998, the Queensland Government established an Aboriginal and Torres Strait Islander Women's Task Force on Violence. It reported on the adverse effects of gross alcohol consumption especially on Queensland's remote Aboriginal communities, located mainly in Cape York. First, both Government and the community must accept responsibility. Second, the availability of alcohol and drugs must be controlled. Third, an intolerance of cultural and social abuse must be developed. Fourth, treatment and rehabilitation services must be strengthened. And fifth, the susceptibility of the Aboriginal population to alcohol and drug use must be addressed. 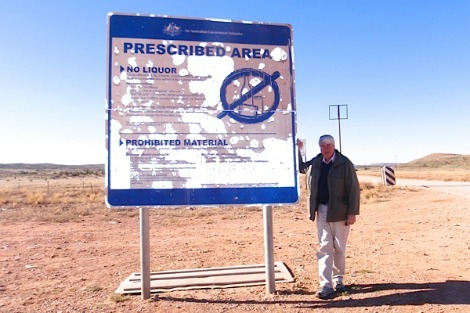 Shortly the High Court of Australia is expected to rule on the validity of Queensland laws which restrict the possession or consumption of alcohol in public places on remote Aboriginal communities. The Queensland Government has been backed by the Commonwealth arguing that the Queensland laws are not racially discriminatory as they apply to all persons in public places on these communities even though most of those persons happen to be Aboriginal. In theory, the laws could be applied to non-Aboriginal communities if they were suffering the same level of alcohol abuse and dysfunction. The Queensland and Commonwealth Governments have also submitted to the High Court that the judges should not just focus on the citizen's right to have a drink but also on the right of other citizens to peace and security. They have said that this balancing act is 'quintessentially a matter for the legislative branch'. The Queensland legislative scheme will most probably be upheld by the High Court. Meanwhile, the new Country Liberals Government in the Northern Territory led by Aboriginal Chief Minister Adam Giles has abolished the Banned Drinkers Register introduced by the previous Labor Government. That register listed almost 3000 problem drinkers who were unable to buy some types of takeaway liquor under a scheme which required all grog purchasers to provide identification at the time of purchase. The NT Government scrapped the register claiming that it was ineffective and an unwarranted interference with the right of the ordinary Territorian to buy a drink without government surveillance. The NT police and hospital authorities are known to have strong concerns about this, claiming that hospital admissions and assaults have spiked since the abolition of the register. restricting the purchase of large volumes of alcohol. The idea of a floor price has won bipartisan support in Canberra with Tony Abbott and Julia Gillard coming aboard. The NT Government is now proposing a treatment scheme for up to 800 problem drinkers a year. It has introduced to Parliament its novel Alcohol Mandatory Treatment Bill. Any person taken by police into protective custody three times within two months for unacceptable behaviour while drunk in a public place will be assessed for treatment. The drinker will be taken by police from protective custody to a centre where an assessment will be made within 72 hours by a 'senior assessment clinician'. The assessor must determine whether the drinker 'has lost the capacity to make appropriate decisions about his or her alcohol use or personal welfare'; the drinker's 'alcohol misuse is a risk to the health, safety or welfare of the person or others'; the drinker 'could benefit from a mandatory treatment order'; and 'there are no less restrictive interventions reasonably available'. The assessor's report will then be considered by a three member tribunal usually consisting of a lawyer, a doctor and a community representative who may then make a mandatory residential order for the drinker to be detained and treated for up to three months in a secure treatment centre. Undoubtedly most of those persons subject to mandatory residential orders will be Aboriginal but the law is so drafted as to be judged non-discriminatory. The protection of basic human rights is another matter when a body which is not a court is able to impose a three month mandatory residential order on a person purportedly not as punishment for a proven offence but as a precondition to medical treatment for someone who has not been determined to be mentally incompetent. It is difficult to imagine any treatment being cost-effective if the person is not voluntarily undertaking the program. Many of these 800 inmates will rightly and grudgingly apprehend that they are being punished by being held in custody, and without a court order. The High Court is unlikely to uphold such a scheme. The legislation will be debated in the Northern Territory Parliament on 27 June. Meanwhile the government says that a public consultation is underway. This will be a case of unprincipled, unworkable lawmaking unless the Northern Territory is more attentive to medical, legal and community opinion within its own jurisdiction and 'from down south'. Just because a proposal is novel doesn't mean it's a good idea. There are very good reasons why other jurisdictions have not thought of this solution before. Fr Frank Brennan SJ is professor of law, director of strategic research projects (social justice and ethics), Australian Catholic University, adjunct professor at the College of Law and the National Centre for Indigenous Studies, Australian National University. He chairs the Policy Committee of Jesuit Social Services. The JSS submission to on the Alcohol Mandatory Treatment Bill can be viewed here. Pictured: Frank Brennan on the road into Santa Teresa, Northern Territory. Alcohol abuse is a huge problem in Australia, both in Indigenous and non-Indigenous populations. Because of the injustice suffered by Indigenous communities in terms of loss of culture, self-esteem and 'place', the scourge of alcohol abuse is exacerbated. Restrictions and treatments will go some way towards solving the problem but ultimately the person in the grip of alcohol dependence must make the decision to seek help. And when there are myriad other problems to cope with this is heartbreakingly difficult. Only one comment in two days underlines our helplessness in the face of the alcohol problem in remote Aboriginal communities. What can we do? One can only support campaigners like Frank Brennan, who have the knowledge and experience to contribute to managing the problem. But how to resolve it? - A much more difficult question! Shifting focus to longterm unemployed urban youth and you very quickly see how so-called recreational drugs help people get through the long, boring day. Or perhaps longterm middle aged unemployed men in rural communities, most of whom are non-indigenous - again, alcohol helps dull the pain of incessant boredom. As Australia continues on its path of current economic orthodoxy, with increasing rates of unemployment and under-employment, we can expect social boredom to remain a problem. With a small population, most of it concentrated in about 20 cities on the coast, it is difficult to define markets to sustain full employment for people outside those cities. And without a generally sound economic base in rural and remote communities, unpaid voluntary work is not sustainable. For both indigenous and non-indigenous Australians in rural and remote areas, lack of employment opportunities is the main problem. I've only now had time to read yesterday's ES. Nonetheless, I think this is an excellent and very timely article, Fr Brennan. I tried last night (ABC’s ‘Lateline’) with little success to follow the Chief Minister’s argument relating to the Banned Drinkers’ Register (BDR), something like: Women are being bashed by drunks so we’ll now allow them to buy alcohol as before, watch the documented explosion of injured and dying women being treated in emergency departments following scrapping of the BDR, and AFTER the event, imprison and forcibly “treat” the perpetrators of drunken violence. Giles has talked about the right of Territorians to enjoy a drink as part of their way of life. That’s fine, but was it not only harm-causing problem drinkers who were on the register? The current NT government seems to have a “free market at all costs” ideology that over-rides logic, economic and legal realities. It also, as you note, transgresses the basic right of ordinary Territorians of all ethnic groups to live without alcohol-fuelled violence.